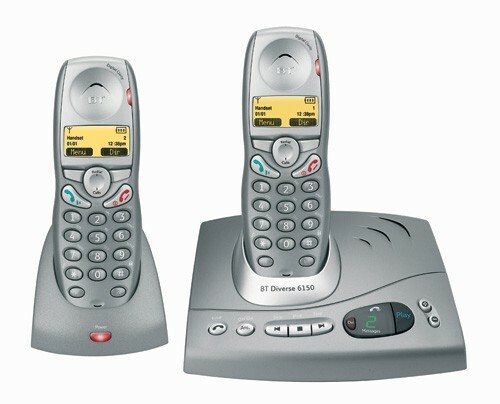 Discontinued - Click here for BT Diverse 7150 Plus DECT Cordless Phone - Twin Pack - The replacement model. The BT Diverse 6150 DECT an answerphone with 15 minutes recording time, SMS, a backlit four line orange LCD, 50 name and number directory and an easy menu operation handset. Fully GAP compatible, it has ten handset ringer melody options, a clock and alarm and it can be used with other BT Diverse products.